To develop a positive environment for the development of soccer, skills and knowledge within the game. To advance the idea that winning is not the first goal. To realize that by improving the skill level and knowledge of the individual, team winning will be the end result. I desire all my teams to play a game that is built in possession of the ball and encourage players to inject their personality and creativity within the tactical parameters set by the coach. "I love the beautiful game. Through my training I want my kids to love it even more too." Matt Blackbourne is a former professional player and has been a highly qualified professional coach for many years. He has held the position of Youth Coaching Director at FC Pride Soccer Club in Indiana, USA and formerly ISA from Indianapolis. USSF Licensed and NSCAA National Diploma and Director of coaching License held. Professional player and youth in England with Nottingham Forest, Grimsby Town and Spalding United. Played collegiately at the University of Evansville. Continued professional career with Indiana Twisters (Indoor), Indiana Blast. Represented England in the MISL. DOC for Indianapolis Soccer Academy girls club and led the movement to merge with Indy United and Saints to form FC Pride. Currently serving as Youth Girls Director and ECNL coach at FC Pride. 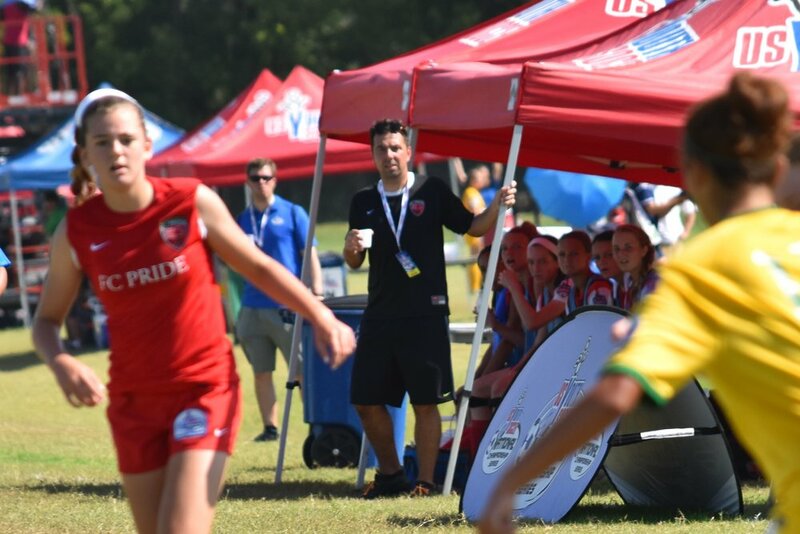 Led teams to US CLUB National Champions, USYSA National Championship finals, USYSA National League champions, ECNL Conference winners, ECNL American Cup finalists, 15 State Cup championships and multiple regional and state league titles. Founder of Skill Skool Soccer personalized training and helped coordinate and organize Kinderkicks at Off The Wall Sports that now has developed into todays Lil'Kicker program. Guided 100's of National, Professional and Collegiate players through Skill Skool Soccer and club teams. Developed the 8 week guide to better soccer which has been the staple curriculum to Skill Skool Soccer's winter training. Teaming with Indianapolis Goalkeeper Academy developed the Elite Striker Keeper Camp.